What would a no-deal Brexit mean for Scotch whisky? 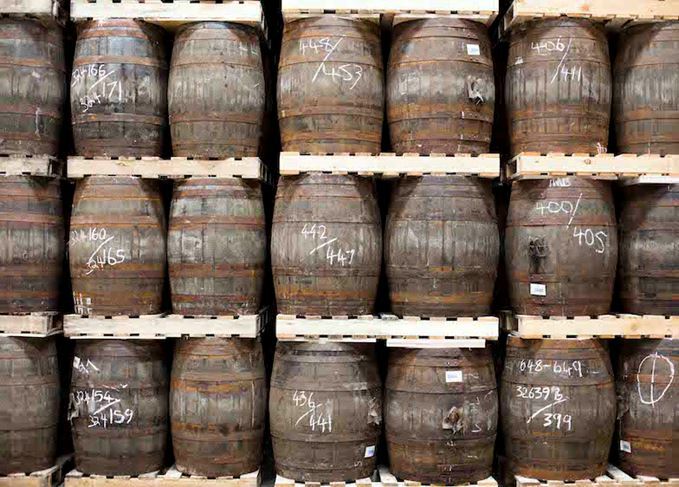 EU-markets are vital for Scotch whisky. The EU accounted for almost 40% of Scotch whisky exports by volume in the first half 0f 2018 and just over 30% by value. In a full year, that’s well over GBP 1 billion of revenues. According to the Scotch Whisky Associations (SWA) it is imperative that the UK government and parliamentarians get their heads together and avoid a no-deal Brexit. Karen Betts, SWA’s Chief Executive, states that ‘a no-deal Brexit would damage our industry by forcing cost and complexity into the production and export of Scotch whisky’. The SWA has identified three main areas of concern: labelling, EU trade deals, and customs and excise processes. To export a bottle of Scotch whisky to an EU country, you need an EU address on the label – either that of the producer or that of the importer. At the moment, many companies list a Scottish address – but, after March 29, they could well have to feature the address of an EU importer or importers. A no-deal Brexit could require at least two different label templates: one for products sold in the UK; and at least one – in some cases, many more than one – for products destined for the EU. This would increase costs, with companies forced to use shorter bottling runs and manage additional stock keeping units (SKUs) in their inventories. With the issue also impacting other UK and EU food and drink exporters. While the UK remains a member of the EU, Scotch whisky benefits from 40 free trade agreements previously ratified between the bloc and non-EU states, including South Korea, the Dominican Republic and Morocco. At the moment, says Betts, ‘we cannot be confident’ that current levels of market access would be maintained in a no-deal scenario. Under a no-deal Brexit, the SWA calculate the loss of these trade benefits would immediately cost the industry about GBP 50 million annually in tariffs, without accounting for the long-term impacts on market progression. The UK currently has access to the EU Excise Movement and Control System (EMCS) – a computerised system facilitating the easy movement of Scotch whisky across Europe, with excise tax only paid once it arrives at its destination market. In the event of a no-deal Brexit, this would cease. A no-deal scenario would also mean that export and import declarations would be required for customs clearance at the UK-EU border. This would be a significant change to the straightforward way in which Scotch whisky enters the EU today, and it would add cost and complexity to those movements. Moreover, the SWA has real concerns about the ability of port operators to cope with significant, last-minute changes to export systems, and the risk of disruption at ports is high. Other effects are less easy to measure and predict but, in an interview with The Herald, Inver House Distillers MD Martin Leonard warned that the threat of a no-deal Brexit was ‘already starting to distort the supply chain, with some finished goods – whisky – being moved out to market in advance of the March deadline, and some packaging components brought in on the same basis’. As overall demand is unlikely to change, this will potentially create peaks and troughs in manufacturing and logistics, which could impact on industry efficiency. In a world of efficiency first and the just-in-time movement of goods, a no-deal Brexit has the potential to cause chaos, while stockpiling could create artificial peaks in shipments – followed inevitably by troughs – that are not reflected by natural demand.